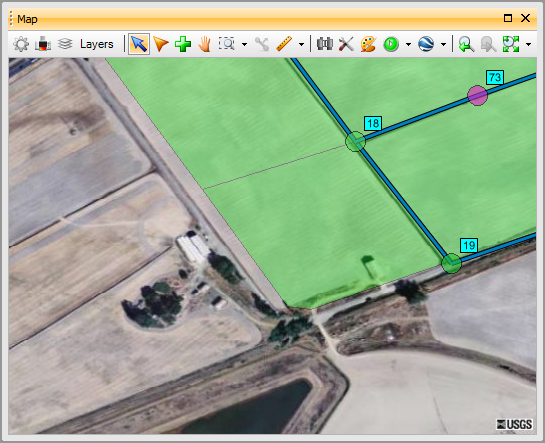 With the release of PCSWMM 2009 version 3.4, we have made a huge leap forward in GIS capabilities. We've added support for many new GIS and CAD formats, improved map aesthetics with anti-aliasing, greatly simplified coordinate system setup (especially for State Plane projections), and much more. In this post, I'd like to show off the new Web Map Service (WMS), which gives PCSWMM a Google Earth like ability to automatically stream multiple map tiles as background layers in your map (for free)! Imagine not having to locate or purchase aerial photographs or other map resources. Simply connect to a Web Map Service of your choice and start developing your model. What is Web Map Service? A Web Map Service (WMS) is a standard protocol for serving georeferenced map images over the Internet through a simple HTTP interface. The images are generated by a map server using data from a GIS database. The specification was developed by the Open Geospatial Consortium (OGC). Also called the OpenGIS Web Map Service Interface Standard, more specifically WMS provides a HTTP interface for retrieving a list of the capabilities of any WMS server, and for requesting geo-registered map images at a defined extent and resolution, from one or more distributed geospatial databases. As part of PCSWMM's growing Internet integration, we've added a new WMS connection tool (shown below) that allows you to add and manage any number of live streaming connections to any number of WMS servers. Through this tool you can connect to any publicly available WMS server, browse the various maps available on the server, and establish a connection to one or more map products. Once a WMS map resource is added to your PCSWMM project, the map(s) are automatically streamed to the PCSWMM Map panel and displayed as one or more background layer. Transparency is supported for WMS layers, allowing multiple layers from multiple servers to be simultaneously displayed, and the WMS maps are automatically reprojected by PCSWMM to whatever coordinate system you have selected for your project. PCSWMM automatically requests the map image for the current map extent at the resolution of your display, allowing for infinite panning and zooming (limited only by the available map extent and resolution of the selected WMS server map resource). The three biggest benefits to the end user are; the endless amount of free mapping content available via the hundreds of public WMS servers, the ease in which you can add the maps to your project as background layers, and third, the transportability of the maps. 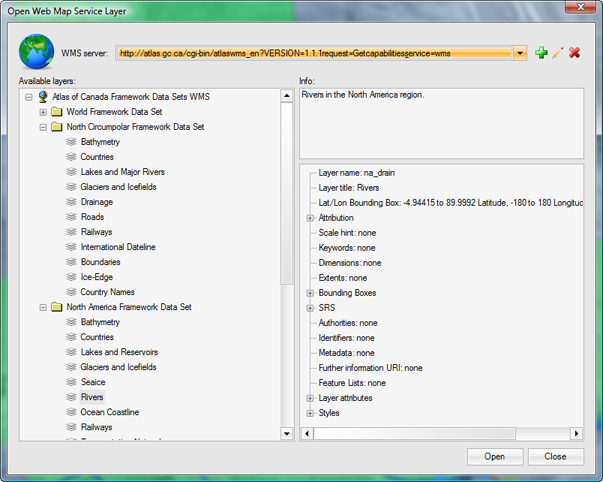 Since the maps reside on the WMS servers, you do not have to deliver large map files to your client with your project (or to your co-workers) - open the project on any Internet-connected computer and PCSWMM will automatically reconnect and display the WMS layers.